Erratic rains and humidity during monsoons cause serious hair issues. Due to high density of humidity in the air, often hairs get wet due to sweat and rains. Thus, caring for hair during monsoons becomes all the more important as it tends to lose its actual texture and moisture content. This may result in the hair turn frizzy, brittle and lifeless. 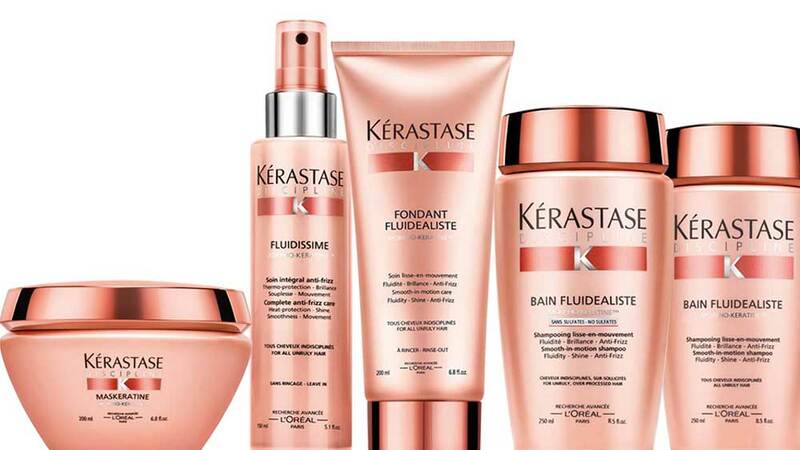 To beat the most common monsoon hair woes, Kérastase has introduced a range of Discipline hair care products that will bring shine and lustre to the hair at home. The newly launched Kérastase collection consists of three products that offer anti-frizz and anti-humidity action for 72 hours. • Bain Fluidealiste Sulfate Free: This rich and effective sulfate free formula, with Morpho-Keratine, is a must have for all unruly over processed hair types. An ultra-gentle cleansing formula, this shampoo respects the integrity of the hair fiber and smoothens them an even finish from roots-to-ends. The product is priced at Rs 2,000 for 250ml at brand’s signature outlets and high-end retail shops. • Maskeratine: For sensitized to very sensitized unmanageable, undisciplined hair. Highly concentrated with Morpho-Keratine and enhanced with wheat protein and lipid treatments, this formula gives intense nourishment and flexibility to the hair. The product formulation facilitates ease of rinsing, detangling with an incredibly smooth result. The product is priced at Rs 2,750 for 200ml at brand’s signature outlets and high-end retail shops. • Fluidissime: Enriched with Morpho-Keratine accentuated with conditioning agents and heat protective Xylose, Fluidissime facilitates faster, long-lasting blow dried effect. Its conditioningagents reduce friction, the source of fly-aways, while Xylose protects the hair from heat damage. The product is priced at Rs 2,000 for 150ml at brand’s signature outlets and high-end retail shops. Kérastase’s Discipline range is a high-end luxury product for the women who think hair care is a vital part of personal grooming. One can also experience the in-salon Discipline Express Ritual for 30 minutes at Rs 2,000 and the Morpho-Keratine Discipline VIP Ritual for 90 minutes at Rs 3,200 along with VIP Ritual for lasting results that last upto five shampoos. About Us: The Arvind Limited Legacy Since 1931, Arvind has been the.. Things to Remember While Starting Food Truck..
“Word of Mouth Works in Growing Biz”..
How Vital Is Skilled Staff in Beauty Business..
Top Eating Out Trends in 2018.. Architecture of the spa at Ganga Kinare in Rishike..
4 Keys To Designing Casual Dining Restaurants.. Businesses Betting Big on IPL..
Is AI Enhancing The Indian Wellness Industry..
10-Step Checklist to Open a Bistro in Mumbai..
‘Competition Can Be Good For Your Business’..